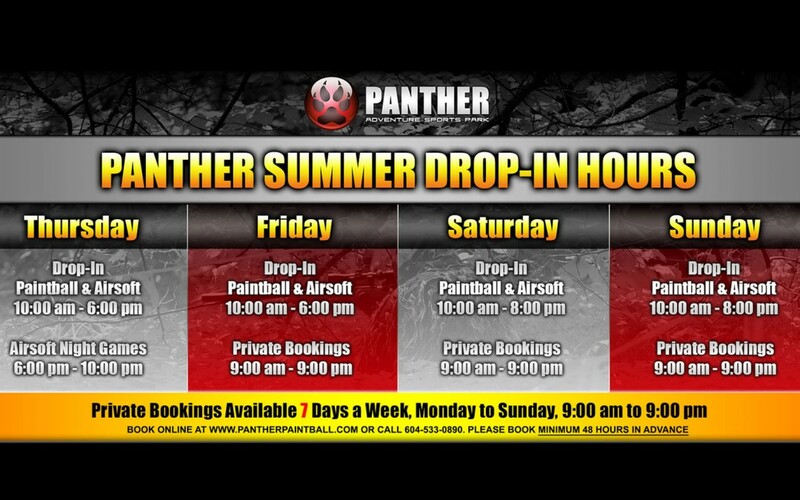 We’re happy to announce our new Summer Drop-In Hours for Paintball and Airsoft. You can now drop-in and play Paintball or Airsoft on Thursdays and Fridays from 10:00am to 6:00pm and as usual, Saturdays and Sundays from 10:00am to 8:00pm. Private Bookings are now available 7 Days a week, Monday to Sunday from 9:00am to 9:00pm. Make an Online Booking Now to reserve your private group!